AtlasIED has made multiple partner changes within its United States independent sales representative network. 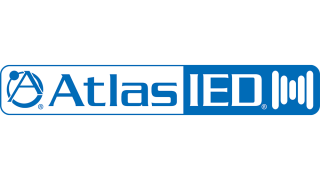 AtlasIED's systems business has grown since the merger of Atlas Sound and Innovative Electronic Designs (IED) into the new AtlasIED. These new rep firms were chosen—due to their field support and expertise in consulting, selling, and supporting system solutions—to continue this rapid systems growth. "We are delighted in the new rep firm partnerships," said John Ivey, CEO and president. "They are a perfect match that sends a strong statement to the market that AtlasIED is serious about growing our dealer support. It's personally important that we can properly assist our dealers when they are choosing AtlasIED's audio, digital paging, sound masking, security, evacuation, and IP endpoint solutions. These new firms will accomplish it." While growing in systems sales, AtlasIED also chose these new firms due to their capabilities to properly support AtlasIED's product offerings for online and storefront resellers. "Meeting the needs for our entire dealer network is paramount," said Greg McLagan, VP of North America sales. "Our current and new rep firms provide proper local support across the United States for all of our integrator, retailer, distributor, consultant, and end user accounts." The new firms by territory are: Intelligent Systems Marketing Inc., covering northern California, northern Nevada, and Hawaii; Parallel Solutions, covering eastern Wisconsin, northern Illinois, and Michigan; KLM Marketing, representing Maryland, Virginia, Delaware, southern New Jersey, and eastern Pennsylvania; and TaylorLong & Associates, Inc., covering Alaska, Oregon, Washington, western Idaho, and western Montana.